In the following review of Colosan, we take a close look at the product to help you decide what level of quality it offers. 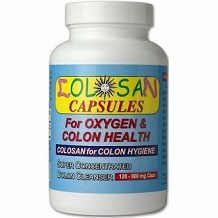 Colosan is a supplement that can be taken to help the colon cleanse itself of unwanted toxins and other substances. This helps to promote colon health and reduce feelings of bloating and fullness. The main ingredient in this product is magnesium. Magnesium causes the release of oxygen when taken with large amounts of water through various chemical reactions. Oxygen is then able to oxidize the unwanted chemicals in the colon. For the most part, this helps them to be excreted and removed from the body. Oxidation is often a cleaning mechanism that the body uses. What the manufacturer hasn’t considered is that long term oxidation of the intestine can cause inflammation and damage, which can have the reverse effect of a colon cleanse. The manufacturer has not included any antioxidants prevent this sort of inflammation. 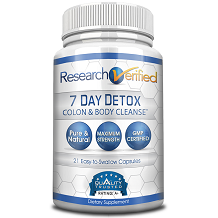 The idea behind oxidative ingredients is interesting, but it just doesn’t make as much sense as using the classical antioxidants, gentle laxatives and fiber approach of most colon cleanse supplements. One or two capsules should be taken each day. They must be taken with sufficient water (at least 8 oz), or else the the supplement cannot cause the oxygen release it claims to. The dosage should also be taken on an empty stomach about 30 minutes before eating. Mild diarrhea might be experienced with the use of this product. If the diarrhea does not go away and starts to get worse and worse, cease use of the product immediately. There is no safety data for the supplement and its use for pregnant women and nursing mothers, or anyone taking chronic medication. Customers in the above groups should seek medical advice before using this supplement. The price of one package which contains 120 capsules is $29.95. If customer subscribes to the relevant third-party retailers, for a regular order, they may receive a 5% discount. The prices mentioned do not include shipping and taxes. We could not find any evidence of a guarantee or returns policy offered by this manufacturer. This unfortunately expresses to us that they are not as confident in their product as they claim to be, because they are unwilling to return money to customers who are not satisfied with their results. The price of Colosan is quite fair and the idea behind the ingredients is quite creative. We just believe that it is not as developed as other ingredient combinations, because it can cause damage and the reverse effect of colon cleansing. We therefore believe the supplement to be ineffective. This is a big problem for customers who have spent the money on Colosan because there is no refund if they are not satisfied with their results. Customers are better off using a tried and trusted ingredient combination which comes with a guarantee.